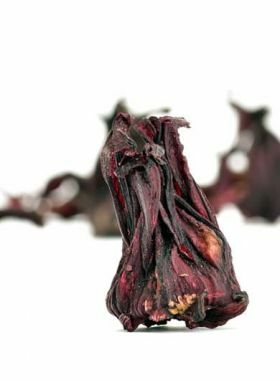 The rose tea infusion, creating an enchanting aroma and lingering fragrant aftertaste, not only tastes mild and delicious but also is good for our skin. It is truly a healthful daily beverage. 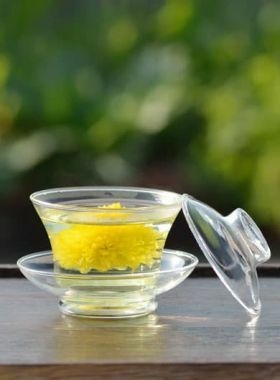 The green sepals of the flower buds form an outer envelope to hold and protect the delicate reddish-pink bud, which when brewed look like little purple orbs radiating with a sweet, enchanting aroma. 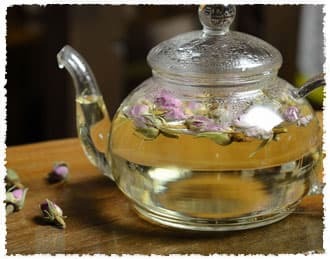 Pink rose is one of the varieties of rose native to warm tropical regions, and is a productive flowering shrub and an important spice commonly used in herbal infusions or traditional medicine. There are many different species of wild rose worldwide, with hybrid varieties and other variants numbering in the tens of thousands by some estimates. Among these, The Rosa gallica, R. centifolia, and R. damascena are the three most important and best-known. 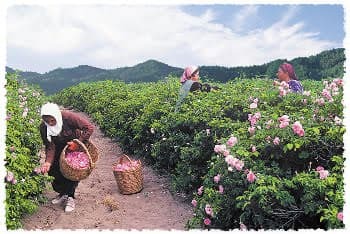 As the most popular type of flower worldwide, pink rose is historically reputed and venerated as Iran’s national flower. Since ancient times the area has had a custom of giving flowers for many different occasions, with rose standing as second to none not only for its fame as the “flower of love” but also for its beauty and exceptional fragrance. If you travel to Tehran, the capital of Iran, you will be impressed by the blooming roses standing and swaying in the breeze in the parks. The rose is indispensable in the daily life of Iranians, with the flowers lending their designs to building decorations like in churches and private houses. These roses dance along the breeze in the streets and windows of common households throughout all four seasons, showing that Iran is a vibrant, vivid place.